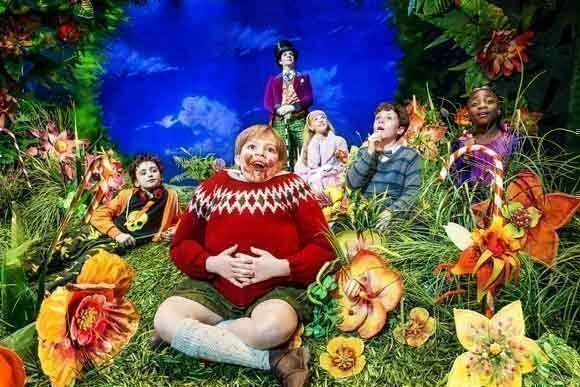 Charlie and the Chocolate Factory – It’s sheer magic! 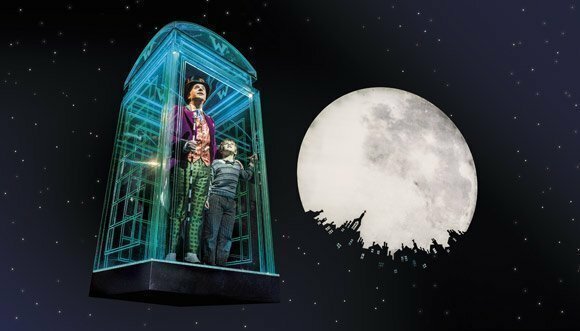 Roald Dahl’s delightfully dark and rich story of young Charlie Bucket and the mysterious confectioner Willy Wonka appeals to adults and children alike. This brand new musical adaptation hits town in spring 2013 courtesy of the Academy Award winning director Sam Mendes. It’s a classic well-loved tale that’s as fresh and relevant as the day it was written. One of the best-respected directors in the business. Genuinely breath-taking stage craft. Thrilling music by the very talented Marc Shaiman, with lyrics by Scott Wittman and Marc Shaiman, the Grammy-winning writers behind Hairspray and Smash. What a combination! Charlie’s folks are broke. They eat nothing but cabbage soup. 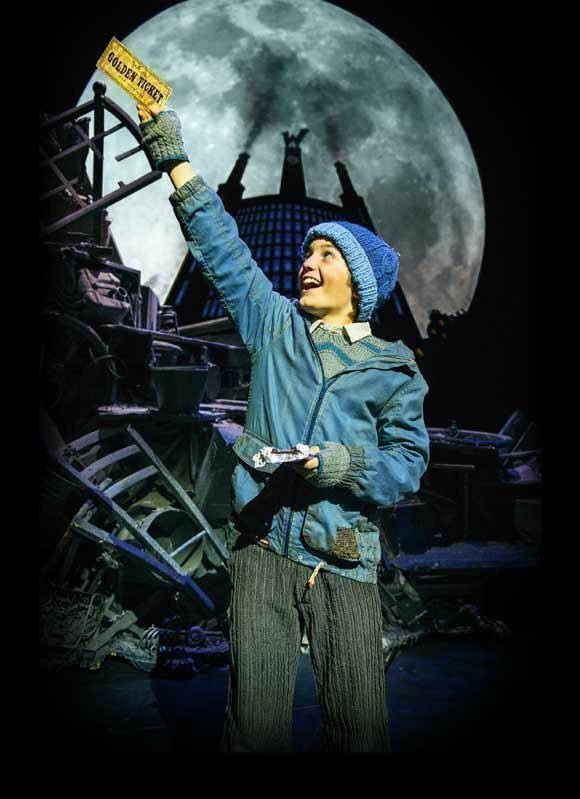 With the support of his parents and two sets of ancient grandparents Charlie wins a rare golden ticket to visit the weird and wonderful world of Willie Wonka’s Chocolate Factory. But Charlie isn’t the only one. Several other children also win tickets. 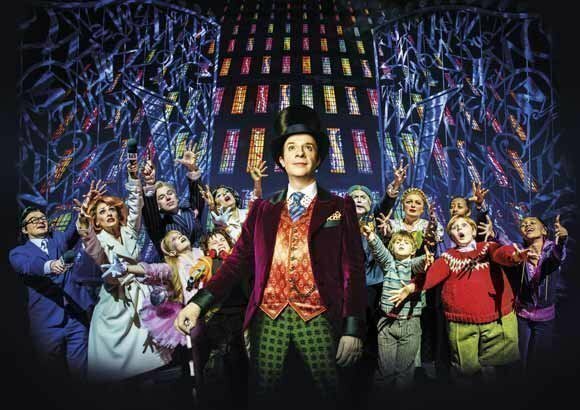 But once they arrive at Willy Wonka’s spectacular chocolate factory they suffer strange accidents, one by one, until Charlie is the only child left. Four of the five lucky winners discover that things aren’t as sweet as they seem. But what about Charlie? It’s a tale that ends in typically sinister and joyful style, Dahl at his wicked best. The show’s outstanding sets and costumes are designed by Mark Thompson, who worked on Mamma Mia! 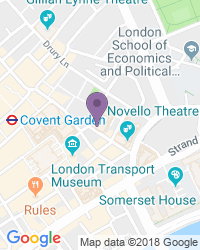 And One Man, Two Guvnors. The choreography is by Peter Darling, whose considerable talent informed the spectacular dance routines in Billy Elliot The Musical and Matilda The Musical. All of which makes for a top class production. 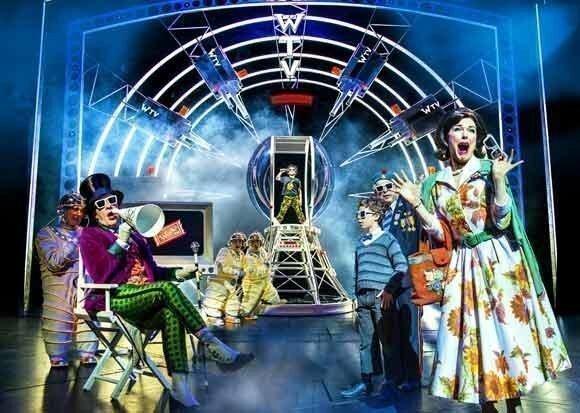 We promise varied seat and ticket availability with a great choice of seat options and premium and full price tickets as well as discount Charlie and the Chocolate Factory tickets. 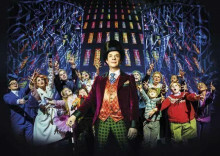 Excellent Show with great performances particularly that of Charlie and Willy Wonka. Drury Lane is a lovely Theatre and would highly recommend. 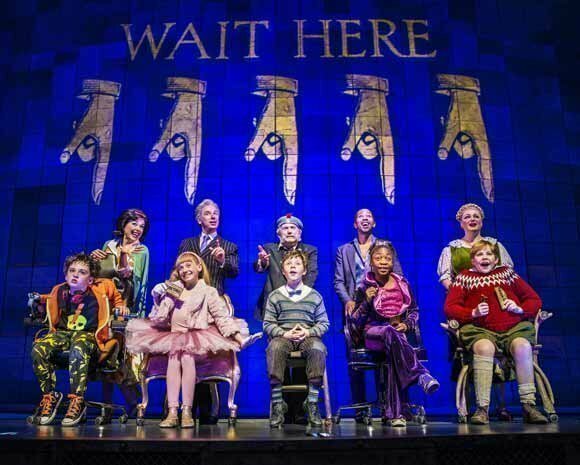 show as very enjoyable, first half wove the story ,second half takes you on a magical journey through the chocolate factory, Willie Wonka played with just the right amount of quirkiness Gene Wilder would have approved, Charlie Bucket was a star , Show was a delight. The show was absolutely fantastic - I would recommend everyone to go and see this. The whole family thoroughly enjoyed the whole experience. Colourful costumes, clear definition of characters. Slick scene changes @ imaginative use of props & humour. Unfortunately the first 30minutes were Completely spoilt with people rustling bags of sweets in the two rows directly behind me. Maybe an announcement before the show asking people to be more aware might be Appropriate. Good for those with a sweet taste! First and foremost, the casting was excellent and without the wonderful actors, there would be no good show, whatever the storyline. The script took a slight twist to the original publication, giving the show its very own identity. It was engaging and enlightening throughout, leaving us at the edge of our seats. There was a good balance between the acting and singing, enabling the show to stay fresh throughout. All in all, a great show! Fantastic scenery and special effects, a real Wow factor. The start of show was good but a little slow to warm up BUT the second half was amazing,I couldn't take my eyes off the stage and all that was happening there with both the acting and the fantastic, amazing , clever scenery. Colourful and funny. Rather disappointing music. The trailer shows music from the famed 1971 film version, but fans expecting the film music will be disappointed. True Imagination is in fact the only song is included in the new stage version. Despite noble attempts, the new score is musically inferior to the 1971 version and lacks a single memorable number. Aside from that, the book translates well onto the stage. The costumes and lighting are great, and the chorus does an amazing job as Oompa Loompas. All in all, it's a fun, and funny, night out - just don't expect any of those tunes you may know and love. The kids & adults loved it!! Riveted from the start!! Fabulous costumes, stage design, acting, singing..the praise is endless!!! The show was amazing! Strongly advise anyone to go and watch. The choreography was top notch and acting was great. Only thing that we expected was a few of the songs from the movie. Never the less the songs in the production were phenomenal. Great night... 10/10. We really enjoyed every aspect of this show. The acting, costumes, music and storyline were superb. 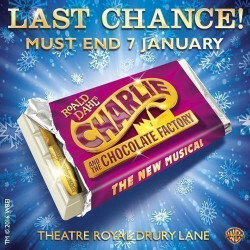 A must see for Anyone who has ever read the story of Charlie and Chocolate Factory. The scenery and special effects were utterly amazing. 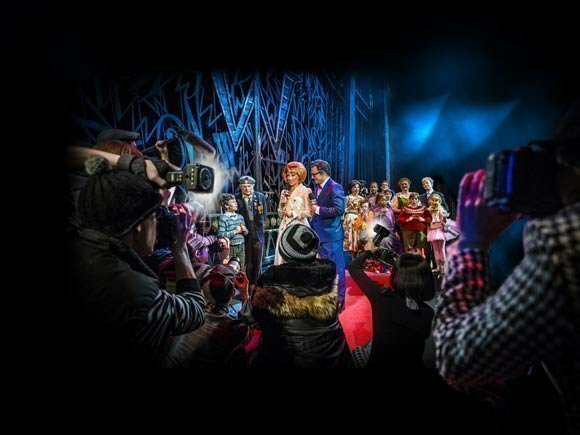 The show was wonderful, an cast excellent, together with the stage lighting and special effects, altogether made the evening a special and thoroughly enjoyable experience. Overall I thought the show was okay, I feel bad for saying so as the actors did a brilliant job I just found the songs a little tiresome and the first half quite boring. Willy Wonka was my favourite character, with Charlie and his parents a little boring / irritating. Sorry!! Went with my 18 year old daughter and we both truly enjoyed it-acting was brilliant-lighting and stage set up was fabulous-would definitely go back-the only disappointment was we went to the location of Drury Lane street only to find out that was not the theatre and it was Catherine street it was actually on-had an extra 10 mins walk-should have been made clearer on tickets ! An Experience not to be missed!! I liked the show very much, I was with my dad & daughter, so the ages ranged from 11yrs to 64yrs, so thats why I have recommended this show for Anyone. I would also like to say that every member of staff were so nice & helpful to us, well done to them. The only negative I would have is that the seats we chose were'nt ideal & would'nt recommend them to others. It was difficult to view all of the stage from these seats. 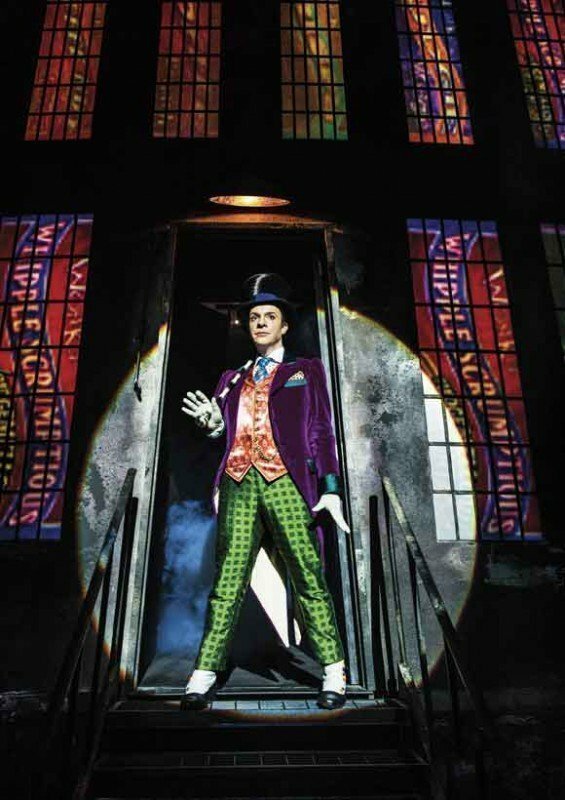 Charlie and the Chocolate factory is an amazing musical. I was amazed by the talent of kids. The costumes, set design, performance were great. The only thing that disappointed me were the oompa loompas, because they weren't played by little people. Excellent show, thoroughly enjoyed it. Cast were brilliant as were the costumes and scenery. Absolutely loved how the oompa loompas were 'designed'. The squirrels had me in stitches. Don't miss it!!! The cast and sets where amazing !! Well worth it. We loved the show, but found that the people behind us didn't stop chatting which is a real shame as it was A bit off putting. Fantastic show. Couldn't fault it. The sets were amazing. Great show but missed the well known songs from the film, especially the oompa loompah song! I loved the show, it was funny, full of colours and had a great scenography. The Oompa Loompa were fantastic!!! We loved the choreography, actors and costumes. The twist in the story, unlike the book or film, was brilliant. Very fun show with catchy songs! We love the musical. Seats had slightly restricted views however I was aware of this when I purchased the tickets. show was fantastic and very well acted , lots of great scenes and great choreography and costumes and scenery . Great show for all, a bit slow at first but brilliant second half. The whole family loved the show. 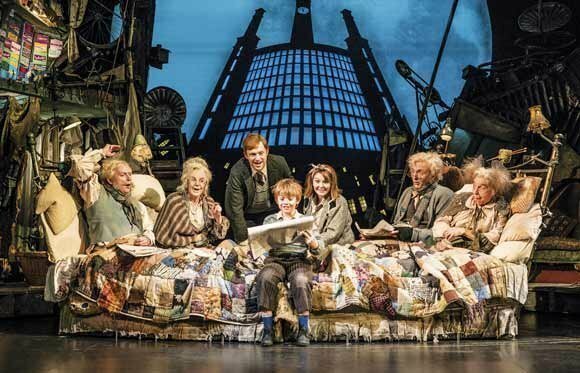 The sets, acting and music combined with a simple plot made it a magnificent experience with plenty of laughter elicited by the clever scripting. Booked show and attended evening show on 30th Sept. Excellent family entertainment - lovely venue and staff were great to deal with. First time at West End - will be hard to top this again - loved it !!!!!!! Go and watch it while you still can! A great show, quite a few laughs. We really enjoyed the show. Some of the songs were hard to listen to, and not as funny as we expected but still really good and really well done. I thoroughly enjoyed the show. The music was different than the movie but was appropriate and enjoyable. Costumes were well done. Sets were fabulous. The second half was fast moving and more flashing lights and louder music. Our daughter has autism and unexpectedly ran out of the theatre during one particularly fast moving section due to sensory overload. The staff were most concerned, very helpful and understanding. They allowed us to sneak back in to vacant back row seats where our daughter could exit again as necessary, and watch the last slower part happily. Thanks to the staff! If you are audience respect others and avoid EATING throughout and rustling sweet bags. Since when was the theatre the place to continuously EAT..... Opening set was great but then it appeared all the money was spent on that set. It became an overuse of dividing up beds and swinging them about. Many very poor very low budget moments reminding me of 1970's lack of quality shows. Diction throughout so poor you could not understand a word. Charlie was fab and the best part of the show. 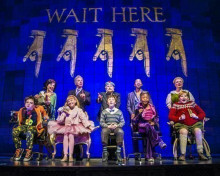 Certainly a million miles away in singing, dancing, acting, production and costumes to the amazing Matilda. Fabulous Use of Technology On Stage. Fabulous show in all respects. The ''large TV screen'' technique set the scene for further innovative stage effects. So full of colour. Everything about the show was impressive. A little disappointing, story changed and songs missed out, however, the show seams good for families, some good props and effects. Revisiting a hit show years into a long run is always an interesting prospect. One wonders how the show is holding up and whether or not the inevitable cast changes will have weakened the show. 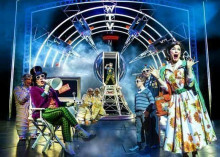 Well I am pleased to report that two years into its run at the glorious Theatre Royal, Drury Lane Charlie and the Chocolate Factory remains a fun filled extravaganza that will entertain the entire family. 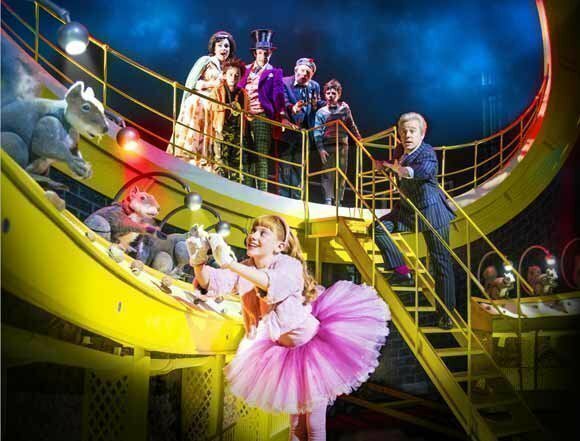 Whilst parts of this show draw you in to a world of pure imagination, other parts leave you with that sickly sweet feeling as if you’ve eaten too much chocolate. Bring the performers up to the level of the production design. As a child I loved to read – I still do love a good book but just can’t seem to find the time anymore. 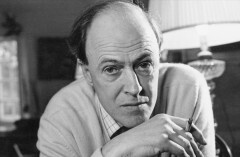 But back when life seemed so much simpler, my favourite author (like so many children from my generation) was Roald Dahl. I must have re-read some of his books a hundred times and got completely drawn into his world of fantasy and the macabre. 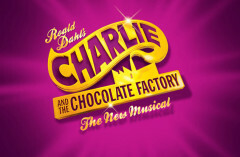 Dahl’s books are so well-known that 2 of them are currently West End hits and none is more famous than Charlie and the Chocolate Factory – not just a book and a musical but 2 incredibly popular films as well. 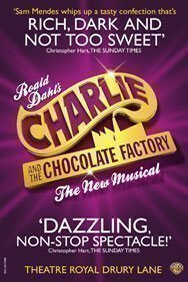 Use the search box at the top left of this page to search for Charlie and The Chocolate Factory tickets availability.